Question: Do you have kids? Answer: Yes! I have two kids. Little Nick is 8 years old and he's in third grade. He loves science. I also have a toddler. Her name is Nora and she will be 2 years old in March. 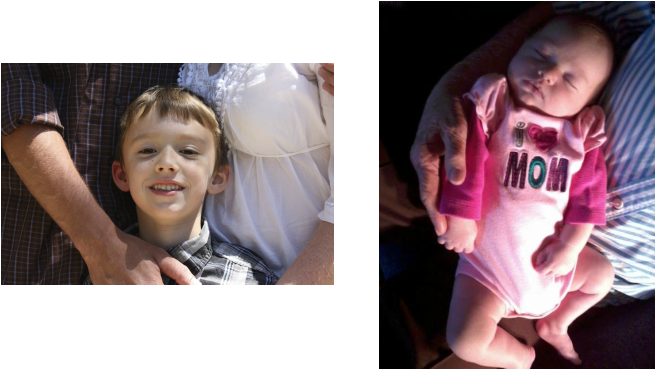 Here's Little Nick and Nora. Here we are at Morro Bay. We love the salt water taffy! Answer: Yes, Mr. Martinez and I have been a couple for 11 years. 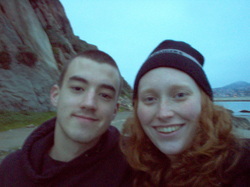 We love going to the coast together and fishing up in the mountains. Here I am all ready to graduate. I was so proud of myself. Answer: I went to school in Fresno my whole life. For a few years I was a student at Roeding Elementary and then I went to Manchester Elementary. Later, I went to Computech Middle School and finally, I went to Edison High School. After I graduated, I decided to go to college. 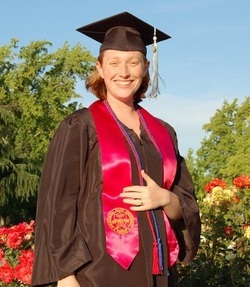 I started at Fresno City College and later finished my degree at Fresno State. 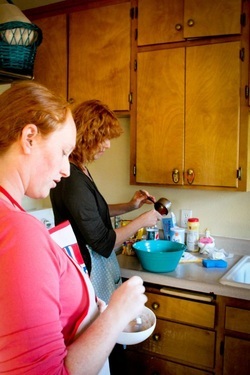 This picture is of me and my mom baking cookies for Christmas in my kitchen. Answer: I love to read, play games with my kids, and learn to cook new things. Mr. Martinez and I have a garden and we love to grow our own plants. When we can, we also like to go fishing, but we don't usually catch anything. I also enjoy making jam and jelly with my mom. This summer we made plum and peach jam. A couple of years ago I made jelly out of prickly pear fruit and it even won 1st prize at the fair! This year I entered my homemade bread in the fair and it won 1st place too!